The best laundrymat in southern Maine (Augusta), ok, yes a friend of mine and i am a bit biased (but it is true) – great service! A new Word Press design is coming, as of June 2012, please stay tuned! Pamela Ryan is a certified Iyengar Yoga instructor practicing in the Portland, Maine area. 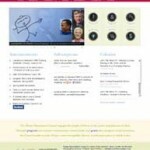 Please visit her website to learn more about her methods and schedule. 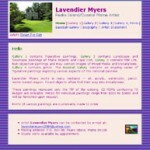 Charming, antique house for sale in Waldoboro, Maine. Waldoboro in the center of Coastal Maine. The house has a waterfront and many charms. Warren, Currier & Buchanan is a law firm in Portland, Maine. The focus of their practice is on business planning, investment, real estate and personal planning issues. Colorful, handwoven cotton rugs from a weaving studio on the rugged coast of Maine. I started updating Sara’s site in the fall of 2009. 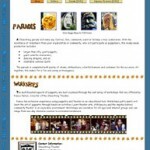 Storyworks, in Colorado, helps you capture your stories. Peg Brown works with you to create a unique, unforgettable memoir or oral history certain to be read and cherished for generations. Day One is Maine’s leading agency dealing with teen drug and alcohol abuse. Their services support teens, families, schools and communities to understand and overcome the pain and hardship of adolescent substance abuse. Paul Austin offers architectural design services through Whole Home Resource for renovation, addition, and restoration in southern and mid-coast Maine. Paul’s home page is here. Susan DeWitt Wilder offers home decorating and staging services through Whole Home Resource Interiors in southern and mid-coast Maine. 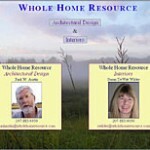 Susan has also been writing articles about the home for The Forecaster. Susan’s home page is here. And their beloved pet, Starch, has his page here! Reaching Home, a new novel written by Ron Breazeale, is about getting people to think again about their lives and the issues confronting their society. It is the story of one person’s struggle to create a place for himself, a home, in a world being increasingly controlled by fear. Dealing with issues of current concern, such as terrorism and human rights; it is written with humor, has a love story, is fast-paced and entertaining. Reaching Home: Conquering Fear, is a fun read, but also a serious one. 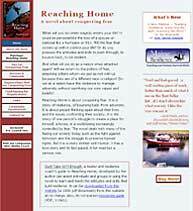 Maine Resilience is on Reaching Home, too. “Maine Resilience teaches participants to manage adversity to bounce back more quickly. Benefits include improved morale, decreased medical and mental health problems, increased team spirit and cooperation, and better relationships among co-workers and community members”. 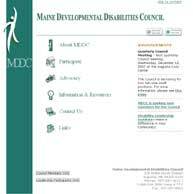 The Maine Developmental Disabilities Council is a partnership of people with developmental disabilities, family members, and state and local agencies and organizations. They work together to bring about the necessary changes to achieve self-determination and independence for persons with developmental disabilities, and full inclusion in their communities of choice. 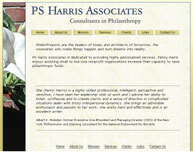 PS Harris Associates is dedicated to providing highly personalized services. Penny Harris enjoys assisting small to mid-size nonprofit organizations increase their capacity to raise philanthropic funds. The purpose of the Eleanor Humes Haney Fund is to carry on its founder’s vision for the future. Asherah Cinnamon, sculptor, uses personal histories to inform art, working with communities and groups to express their vision, goals, and culture. Her public art project can be seen at public-art.html. 2008 Olympics Sculpture (Olympics Landscape Sculpture Design), Teshuvah: Turn and Mend and Kaddish for the Dispossessed can be seen there. The Maine Humanities Council brings people and ideas together to encourage a deeper understanding of ourselves and others, fostering wisdom in an age of information, providing context in a time of change. One of our newer achievements, is our Humanities on Demand podcasts! The podcasts include readings, lectures, interviews, and other programs sponsored by the Maine Humanities Council and partners like the Portland Public Library. This site was done for a local artist, to exhibit the work. The challenges involved optimising the works of art for good download time, while retaining the quality of the image; and designing the site in such a way that the paintings were prominently displayed. There are many wonderful paintings on this site. Here’s a link directly to her Baseball/Figurative section. 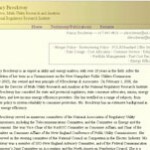 Nancy Brockway is an expert in utility and energy matters, with over 20 years in the field. The challenge here was incorporating the existing creative and funky spirit of Shoestring Theater! Fortunately Nance Parker had a wealth of materials I could work with, including photographs and drawings on paper.